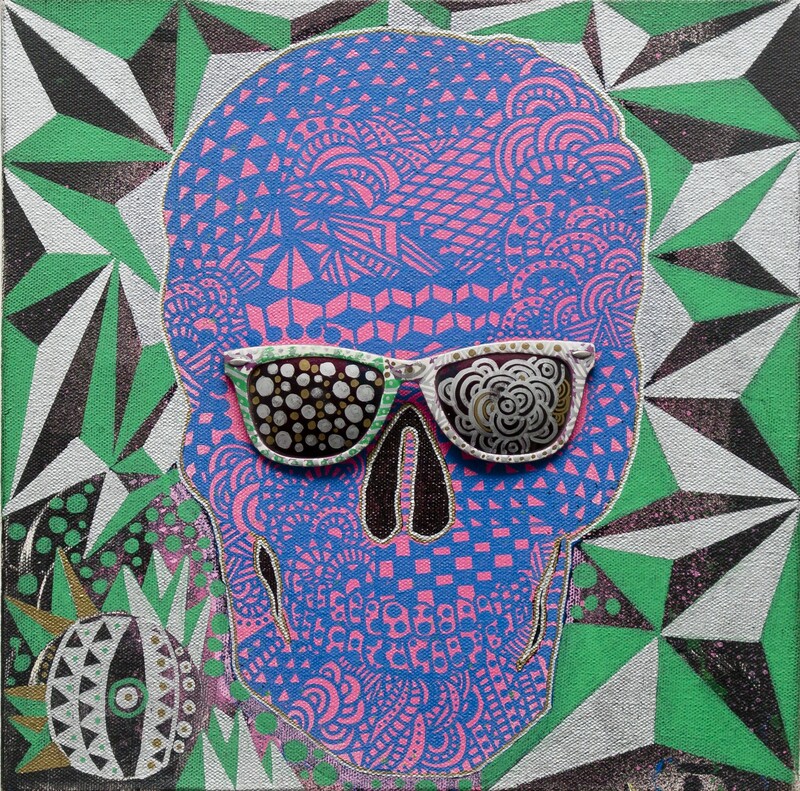 Tibetan Skull (2013), mixed media on canvas. Death (2012), 12 x 15 inches, mixed media on canvas. Death (2011) , 12 x 14 inches, ink on paper. Dancing Death (2013) 15 x 24 inches, acrylic on canvas. 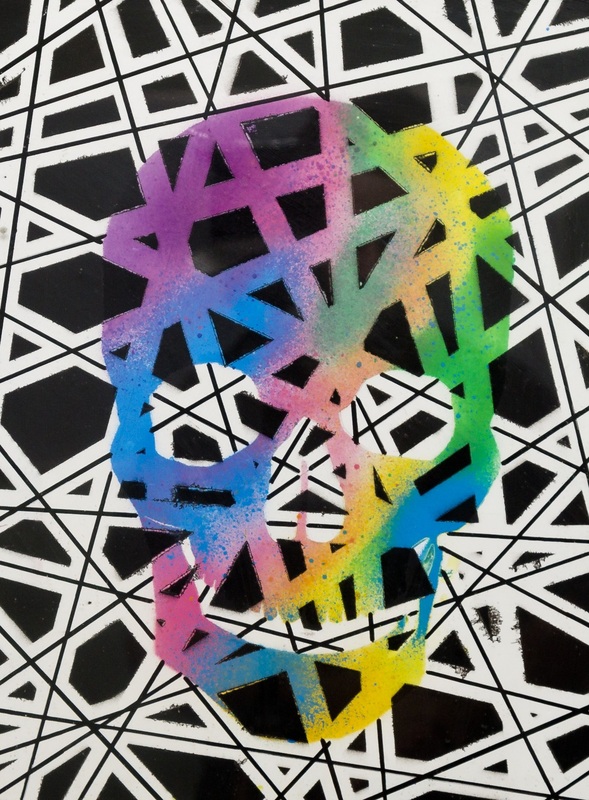 Geo-Death (2013), 12 x 15 inches, acrylic on canvas.